Only few islands in the world can claim they still have alive dinosaur living on it. 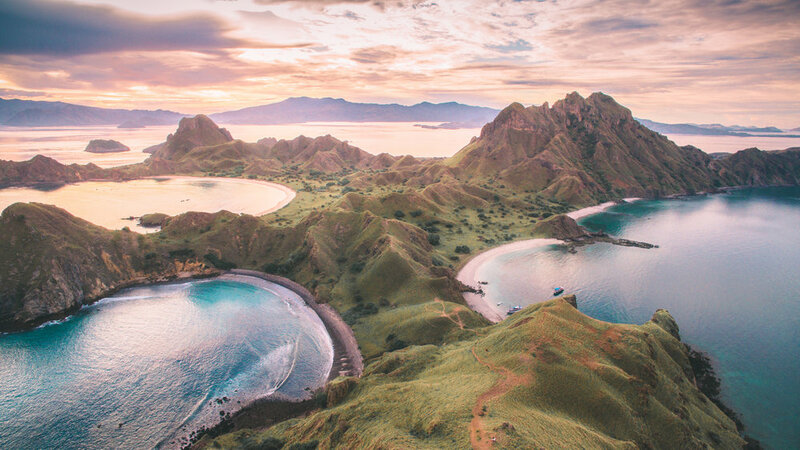 And all those islands are inside the Komodo National Park. Around 2500 specimens are living on those islands. Be ready to do a step back into the past and meet the largest lizard living on earth. 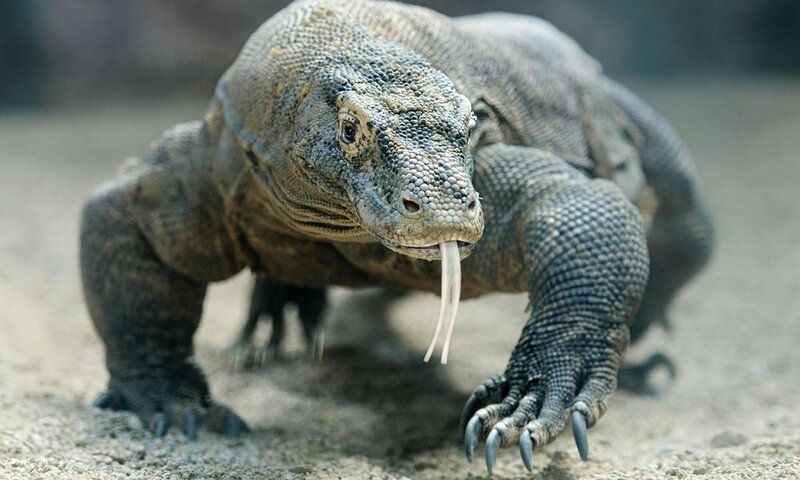 Komodo dragons are monitors lizards and largest living lizards in the world, growing to an average length of 2 to 3 meters - 10 feet. The largest specimen found in the wild was 3,13 meters (10 feet 3 inches) long and weighed 166 kg (365 pounds) but the average weigh for an adults is around 70kg (154 pounds). Komodo Dragons are approximately 2,500 living on 5 islands: Komodo Island (1,000), Rinca Island (1,300), Flores, Gili Motang (100) and Padar Island (few specimen). They are very old and exist for millions of years. They are discovered only 100 years ago! What does the Komodo Dragon eat? Komodo dragons are carnivores. They feed on wild pigs, goats, deer, and water buffaloes. According to the National Geographic, they can eat 80% of their body weight in only one feeding. Komodo dragons fight with other dragons. They can bite each other during the fight, but they are immune to bacteria from their saliva. A female Komodo dragon can produce eggs, even without partners. We call this type of reproduction, the asexual reproduction. A female can lay up to 15-30 eggs, hide them in the hole in the ground. They will live on the trees from the moment they are born until they are 4 years old to escape other Komodo dragons that may try to eat them. - They can see as far away as 300 m (985 feet), according to the Smithsonian Zoo. - They can run up to 20km/h (13 mph). - They are also good swimmers and spotted paddling from one island to another. - A bit from a Dragon is not venomous but only one can be lethal. Its saliva contains 50 different types of bacteria which are infect the bite and the victim ends up with a septicemia. Do you want more information to see dragons in Komodo National Park?